ATI Catalyst updates are focused on improving graphics performance, including enhancements for popular Direct3D and OpenGL game titles. 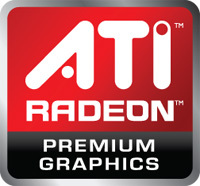 ATI Catalyst includes the ATI Catalyst Control Center™, delivering innovative features and unprecedented control of performance and visual quality with ATI Radeon graphics. ATI Catalyst drivers for Windows Vista and Windows XP are Microsoft WHQL-certified, and include rigorously tested Linux drivers to deliver the industry’s most stable and reliable graphics performance.